We offer residential and commercial gate repair services and all repairs are carried out by the most reliable and competent professionals in California. We are well-equipped and offer full 24/7 services ranging from the installation to the maintenance of any gate. Gate repair specialists to help out in supplying, installing and maintaining automatic and manual gates. If you are looking for a best Overhead Door Service and Repair then come to our gates and garage Door Corporation, Our workers offer repair and replacement services for doors and gates. There is no work that we think too small or big, therefore you don not hesitate to contact with us by a call at 805-426-6359. 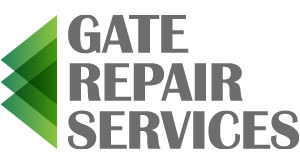 Gate repair employees are all bonded, licensed as well as insured to assure secure. All of our services and products are priced logically, so that every of our clients can afford to get them in Simi Valley. Also, if you’re ever in need of emergency gate or door repairs, give us a holler and we’ll send someone out to you right away. Simi Valley, California is a wonderful town located in Ventura County. It is in proximity to Los Angeles / San Fernando Valley, which is a great spot to shop and have fun. Other than the 120, 00 or so people living here, Simi Valley is also the home to the Ronald Reagan Presidential Library. For those that love the great outdoors, there is the Santa Susana Mountain Range and Simi Hills surrounding the city. This is a commuter bedroom community, but there are plenty of things to do in the surrounding larger cities. When you are going to buy overhead doors or gates for your house or trade, call our door and gate corporation. The price of our brand products that we offer are always affordable as well as the best compare to other. We also offer a number of top brands such as Liftmaster, Genie, Clopay, Skylift, Intellicode, Eagle, Door King, Elite, BSL, Sentex, Ramset, plus a range of others. There is not anything that we do not carry. If you need to repair of your gate or door, then contact with us, we can solve it. Whether it is a rollup, lift-up, overhead, manual or automatic door, carriage, we can repair it. Also our workers can repair driveway gates, sliding gates, sensor gates, electronic gates, automatic/ manual gates as well as garage gates. Anything to do with gates and garage doors, we can handle. We have helped businesses and home owners all over Simi Valley, so don’t doubt that we can help you as well. If you would like to meet with us in person, you can stop by our office located at 2432 Erringer Rd Simi Valley, CA 93065. We will set you up with an appointment that is convenient for you. You can also give us a call to receive a quote over the phone. Either way, gets in touch with us, so that we can help you as soon as possible. Through our long experience on selling, installing and maintaining gates, our company in Simi Valley has come to understand that the times change quickly and along change people’s demands. The competition has been extended in a global level, technology speeds like the wind and the daily requirements of people’s speedy lives increase the need for professionalism and punctuality. Technology appears to have the first role in almost every aspect of our lives and, therefore, the choice of a good technical company is a serious matter since it can deliver much over time and save us both in time and money. Most technical problems are urgent, especially if they are related to gates or garage doors and even small delays can create unnecessary gaps in people’s security. Our Simi Valley Company, which specializes in gates, has the infrastructure to respond immediately to your calls and, most significantly, to handle each problem effectively and quickly. We are well aware that you wouldn’t sleep at night if your gate or garage door is half open or jammed and, therefore, we emphasize on our speed and this, in fact, is the basis of our company. Knowledge is a combination of experience, ongoing education and training, and expertise. We are dedicated on gates repairs and maintenance and we try to keep up with evolutionary steps in technology concerning our field. We attend on various related seminars; we are briefed on novel techniques and try out new methodologies and technologies to test their effectiveness. We never underestimate any jobs, no matter if they are easy, because we believe that each task can teach us something new, add to our experience and enhance our technical capabilities. Knowledge would, probably, be useless if it is not combined with the proper tools and equipment. We don’t cut expenses by getting cheap tools; on the contrary, we keep renovating them and depend on their durability that decreases the hours of our work. This way, we can provide you better quality work at half the time. Even if you have invested a small fortune on the purchase of a new gate or garage door, its value would decrease, if we don’t supply you with the proper replacement parts during service while, at the same time, new problems may emerge pretty soon and the longevity of most mechanical parts will be jeopardized. We use authentic replacement parts of the best brands, so that we can guarantee you excellent quality work and promise you the superb performance of your gate. Our company is well aware that many people in Simi Valley, as well as in many other places all over the country, are hardworking people, who try to cope with the everyday expenses and seek for good prices when it comes to technical issues. As a result, we try to keep our prices as low as possible and we offer you top quality services at reasonable prices that will not exceed your family budget. Your gate may eventually have a problem, and when it does, we’re the local experts to call! All gates need regular maintenance to function properly and safely, and usually this prevents most problems, but sometimes an unexpected malfunction will occur. We always have your needs and budget in mind when it comes to repair services. We can repair sagging posts, openers, intercoms, unreceptive sensors, and many other common problems successfully and to your satisfaction. For any problem with your gates, give our gate specialists a call or visit our popular website! Having a residential gate installation can be mostly about aesthetics, but it’s important to consider the safety and security aspect as well. The number one reason is that you control the inflow to your home. You have the final say on who enters and exits your residence. If you happen to have a residential or commercial driveway gate, you can add another layer of security with the addition of a gate intercom system. Just as you have several choices with gates, you will have a number of options when it comes to intercom installations.